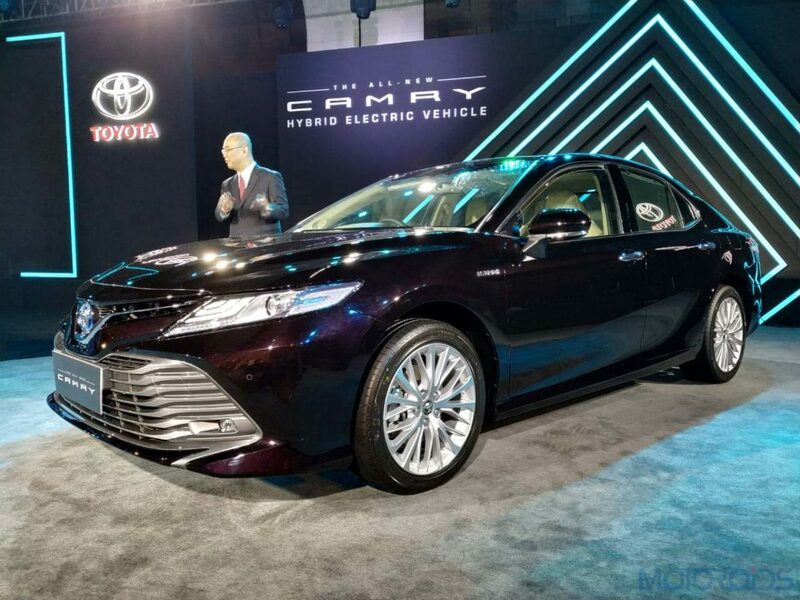 The new-generation 2019 Toyota Camry Hybrid has been launched in India at an introductory price of INR 36.95 lakh. The sedan now looks sharper than ever before, is based on a new platform and promises to be a better car in every aspect, compared to its predecessor. So what has changed and what do you get? Let’s take a look. Propelling the updated Camry is Toyota’s 4th gen hybrid-electric power source. It combines a 2.5-litre petrol engine which cranks out 178 PS @ 5,700 rpm and 221 Nm of torque between 3,600 – 5,200 rpm. It has been paired with a permanent magnet synchronous motor which on its own is good for 120 PS and 202 Nm. Together combined, both power sources crank out 218 PS. All that is routed to front wheels via a CVT which can also be tweaked through steering mounted pedals. The driver can switch between 3 driving modes – Eco, normal and Power. 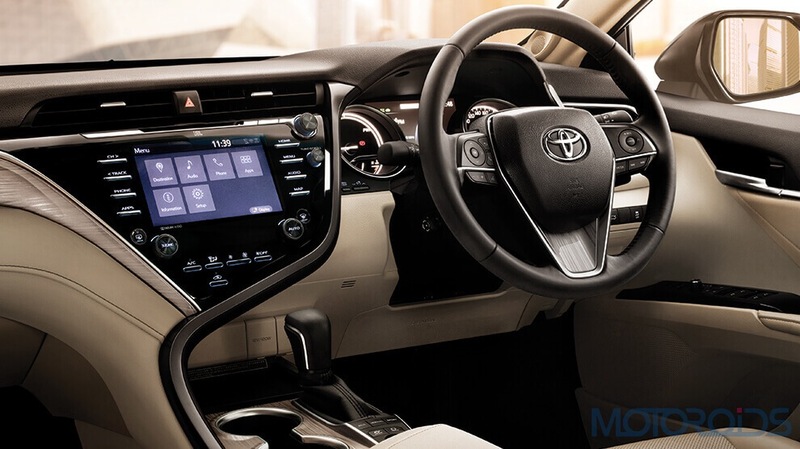 All the hybrid trickery makes the 2019 Camry boast of an efficiency figure of 23.27 km/l! In terms of external appearance, those aggressive looks are courtesy of sharp looking LED headlamps which are nestled next to these stacked DRLs whose curves compliment the flowing lines within the front bumper. Foglights are LEDs too. Based on Toyota’s all-new Global Architecture – K platform, the 2019 Camry promises better dynamics, where body roll is lesser and the car offers better stability in comparison to the outgoing car. Moving to the rear, the taillights are all-LED and new and so is the 18″ alloy wheel pattern. 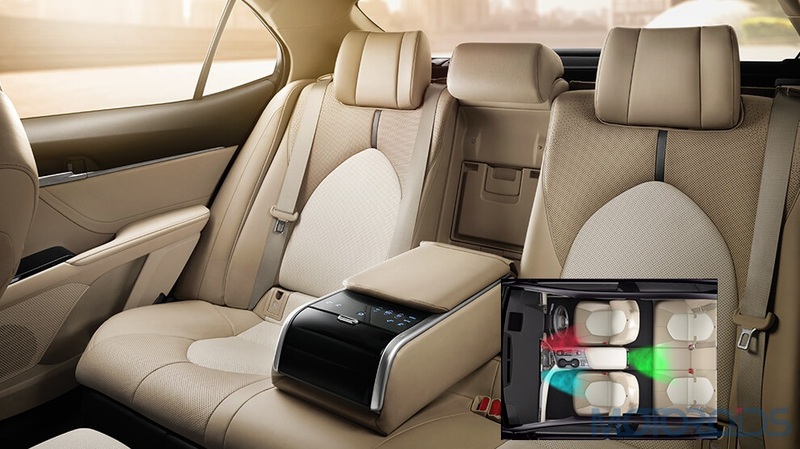 Power reclining rear seat backrest, touch control switches on the rear seat central armrest, 3-zone aircon, Qi-compatible wireless phone charger, rain sensing wipers, electronic parking brake and leather upholstery. Oh, there’s a tilt & slide sunroof too. 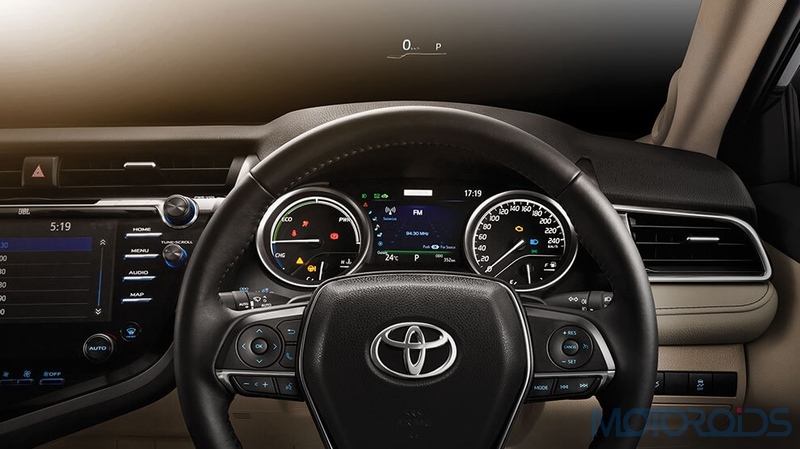 In terms of safety, the 2019 Camry gets 9 airbags, an impact absorbing body structure, ABS with EBD and Brake assist, a brake hold function, a traction control system which is switchable, impact sensing fuel cut off, tyre pressure monitoring system and lots more. The new 2019 Camry is available in the following colours: Silver metallic, platinum white pearl, Attitude Black, burning Black, red mica, phantom brown and graphite metallic. Check out the image gallery below to know more about the car.